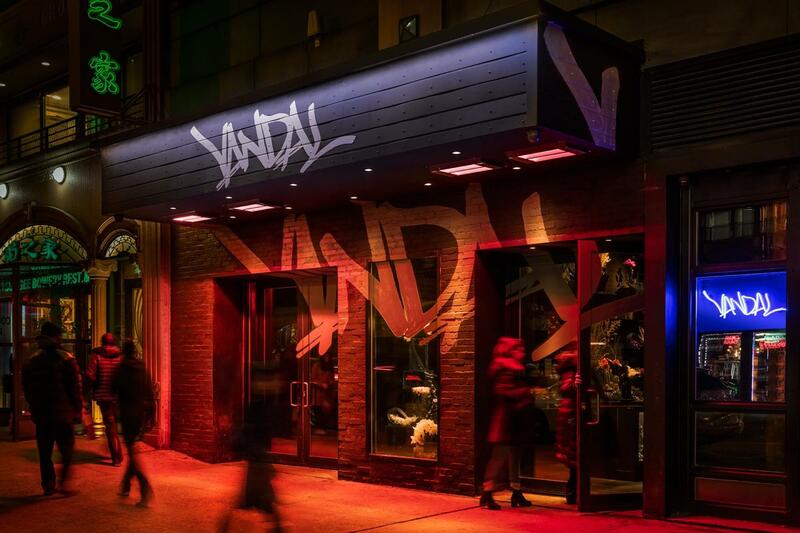 The Lower East Side’s Vandal, from TAO Group and chef Chris Santos, is part restaurant, part lounge—all of it stylish. Walk through the graffiti-covered entry into a space with site-specific artist installations, meant to evoke a street-art vibe. The two-level venue—which also includes a garden dining area as well as a cellar bar and lounge—offers a menu with global influences featuring dishes like Peruvian-style ceviche, Thai summer rolls, spicy Korean rice cakes, jerk-spiced salmon and a steak tartare that pays homage to the New York pretzel. A DJ spins music nightly in the lounge.